Look no further than Phantom Pumps if you’re looking for an affordable centrifugal pump that’s high on performance and reliability and low on cost compared to other popular pump brands on the market. The Centrifugal Pump Line at Phantom Pumps is filled with self priming models that are fully interchangeable and compatible with many higher priced models. All of the equipment in our line meets and exceeds industry standards, and our pumps, including our corrosion and abrasion resistant pump models, are always assembled, tested and packaged in the United States for quality assurance. Processors find that Phantom Pumps customer service and technical support is second to none. We have application engineers on staff to help clients choose the products in our line that best match their processing requirements. We also have an entire network of local distributors who have application expertise and that processors rely on for everything from installation guidance and start-up assistance to 24/7 critical process support. In-house service departments also lower costs by using compatible lower-cost Phantom Pumps replacement parts on centrifugal pump repair and maintenance services. The specialists in our Parts Department can quickly cross-reference parts for technicians and get orders processed and shipped quickly to facilities in Texas, Virginia, West Virginia, Ohio, Tennessee and other states throughout the USA to minimize processing downtime. 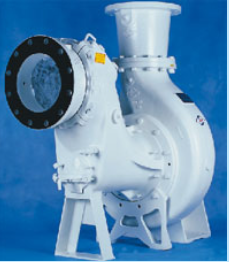 Contact Phantom Pumps today to request quotes or learn more about our cost saving centrifugal pump equipment and services. The entire Phantom Pumps looks forward to serving your processing facility!